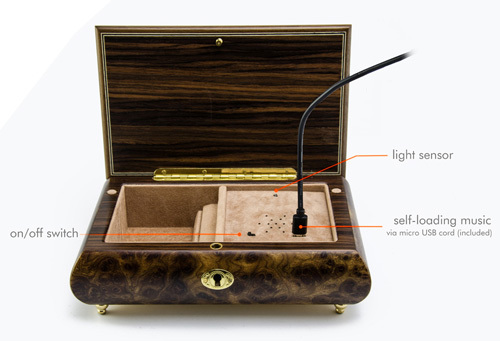 The "Digital Module" or "USB Loading Module" is one of the newest creations in tech from Music Box Attic. 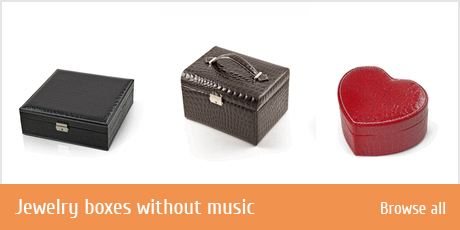 It is the most popular way of inserting any song, sound or recording into any box you want (yours or ours). 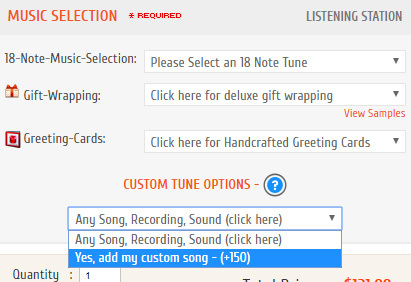 This option can be added to nearly all of our music boxes. 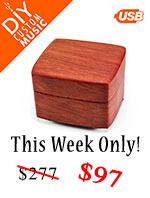 Find the box you want, follow few easy steps to customize with your song. 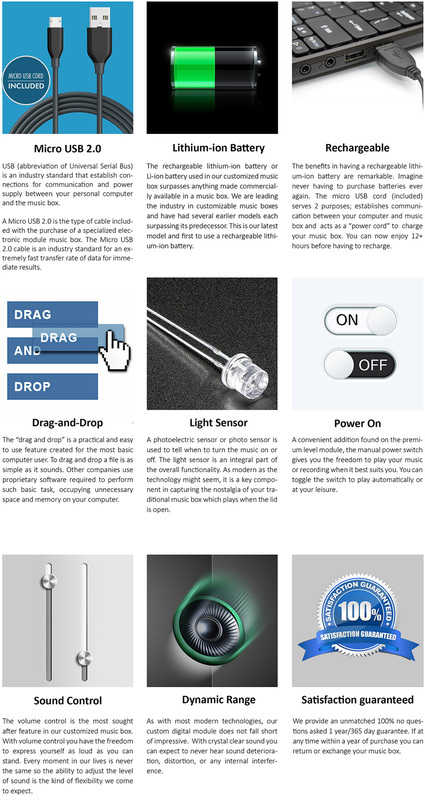 Scroll down to the product options and click where it shows custom music module options DON'T SEE YOUR SONG? 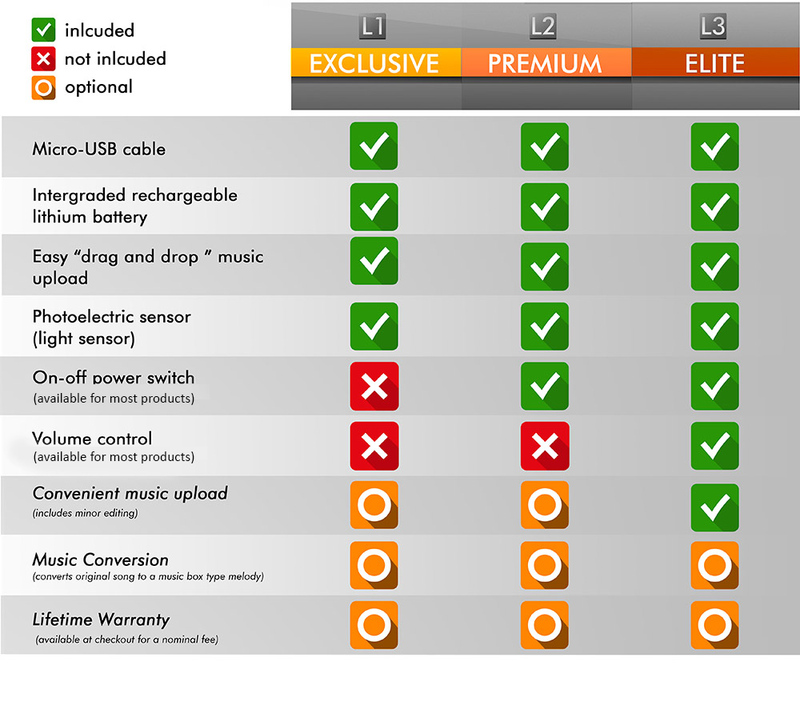 (as shown here on the right), continue to choose the type of module, L1, L2 or L3. 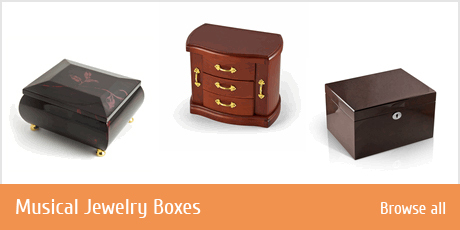 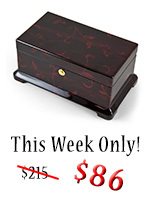 Click here for the most popular (*any of our boxes can be customized) module music boxes. 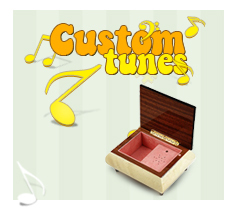 EXAMPLE OF A CUSTOMIZED ANY SONG MUSIC BOX, ALL YOU NEED TO DO IS PICK A BOX AND TELL US WHAT SONG YOU WANT INSIDE! 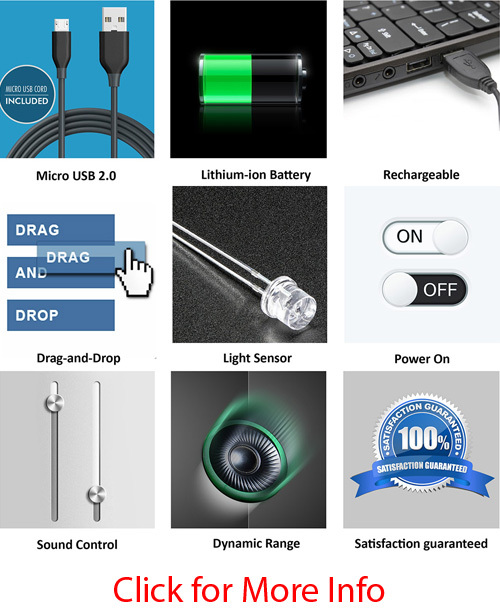 Depending on the size of the movement you want, we will need you to tell us what part of the song you want, so for a 30 note, as noted above we will need the 30 seconds of the songs you want the movement to play, for the 50 note we will need about 40 seconds of the song for each part and so on. 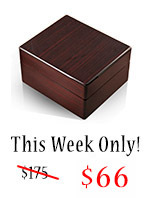 It usually takes about 6 to 8 weeks for production and delivery to us here.